Andrew Jarecki’s six-part series on the real estate heir and possible serial killer Robert Durst was a huge hit on HBO last month, and with good reason. It’s a meticulously researched, gripping, stranger-than-fiction story that builds suspense as it progresses. Structured like a thriller, “The Jinx” manages to be both long and exciting–no small feat for a documentary. Informationally dense documentaries usually seem longer than feature films of the same length, making audiences lose interest over time. But not “The Jinx,” whose best ratings were for its final episode. Despite its success, however, “The Jinx” has certain problems in its style and structure. The latter will be discussed at length later. As for the former, the many re-enactments, though artfully filmed, borrow heavily from “CSI,” blurring the line between feature and documentary filmmaking. 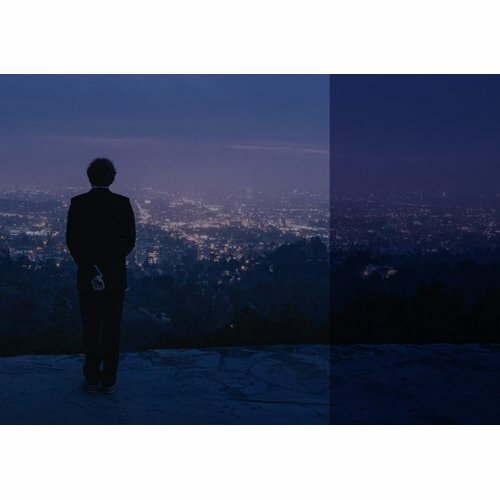 Take the opening credit sequence: a noir-ish montage of water, women, cars, falling bodies, palm trees and skylines, it evokes the Bond films visually and, like them, boasts a theme song. Because Jarecki and his producer/DP Marc Smerling previously made a feature about Durst and the unsolved disappearance of his first wife, Kathleen McCormack, viewers can be forgiven for wondering whether “The Jinx” is a documentary at all. It is, but one with unusual beginnings. It was initiated not the filmmakers but by its subject Robert Durst, who sought them out in response to their feature about him, “All Good Things.” Durst’s aim was to tell his side of the story, which he thought the feature film did not. 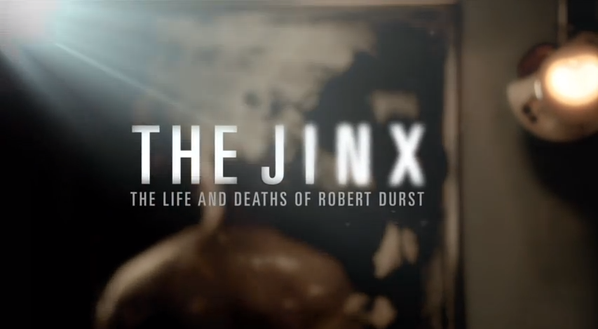 Through interviews, “Jinx” painstakingly recounts Durst’s life story, which includes at least two murders and two disappearances in which he was the prime suspect. But it also properly presents other points of view, not only through interviews, archival footage and stills but the aforementioned re-enactments. The documentary’s structure is complicated, jumping back and forth over the decades. Episode 1 describes the October, 2001 murder of Morris Black, Durst’s neighbor when he was hiding out in Galveston, Texas. It also introduces Durst and Jarecki and the launch of the documentary project. Episode 2 involves Durst’s initial interview, his early life–including the suicide of his mother when he was seven–his marriage to Kathie, and her disappearance in 1982. Episode 3 tells the story of Susan Berman, a Los Angeles-based writer and close friend of Robert Durst’s who was his spokeswoman after Kathie’s disappearance. The daughter of a Las Vegas gangster, Berman had fallen on hard times when she was murdered in her Benedict Canyon home on Christmas Eve, 2000. Though Durst was seen in Northern California that week, he denied being in LA and was not charged. Episode 4 recounts Morris Black’s murder, for which Durst was tried and acquitted (by reason of self-defense), despite the fact that he admitted to cutting up Black’s body and dumping it in Galveston Bay. Episode 5, “Family Values,” contains Robert Durst’s fateful walk by the Durst offices in Times Square and a revealing interview with his nephew, Evan Kreeger, who deplores his family’s dissembling and expresses sympathy for the McCormack family. It culminates with Jarecki’s encounter with Douglas Durst, Robert’s younger brother and scion of the family, who stonewalled not only the filmmakers but prosecutors and police who investigated Kathie Durst’s disappearance. Episode 6 shows the long-delayed second interview with Robert Durst and the series’ stunning coda: his muttered apparent confession, “I killed them all, of course,” in the bathroom after the end of the interview. In a further truth-is-stranger-than-fiction event, Durst was arrested for the murder of Susan Berman on March 14th, the day before the episode aired, having fled to New Orleans with cash, guns and disguises. Episode 6 is both great television and a documentary rule-breaker. The hot mike that produced Durst’s mutterings, which Jarecki said was left on accidentally when he went to the bathroom, is contentious; having conducted many interviews, I recall exactly none where a mike was inadvertently left on after the subject was finished. 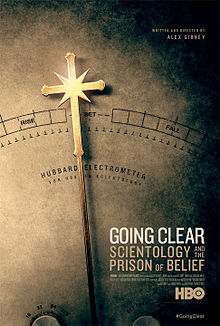 It’s clear that Jarecki was well aware of his subject’s tendency to think aloud: in Episode 4, during a break from the first interview, Durst repeats, “I did not knowingly, purposely lie.” That time, Durst’s lawyer cautioned him that the mike was on, but no one from Durst’s camp was present during the second interview. I don’t know if you’ve ever edited anything — things get loaded into the editing machine but not everything gets loaded. The sound recorder isn’t listening after a guy gets up and says he wants a sandwich. It often doesn’t get marked and get loaded. That didn’t get loaded for quite a while. We hired some new assistants and they were going through some old material. That was quite a bit later. Let me look at my list. It was June 12, 2014 [more than two years later]. As a documentary filmmaker who has edited (with my editor, Kate Johnson) many things, let me say that there has never been an instance where something didn’t get logged within a few days. The idea that the sequence was somehow overlooked for two years is simply incredible, particularly in light of the fact that there were only two interviews with Robert Durst, and that they formed the linchpin of the project. Durst’s arrest in New Orleans on March 14 for Susan Berman’s murder came only a day before the airing of Episode 6, at which point the line between filmmaking and real-time news events disappeared completely. “The Jinx” became a rare instance of must-see TV in a highly fragmented market, yet questions about the timeline surfaced immediately. The fact the change of sequence troubled viewers and critics alike proves that many people still expect documentaries to reflect reality, even if reality comes at the expense of drama. Next time: The Death of Cinema Verite. You are currently viewing the archives for April, 2015 at Under the Hollywood Sign.